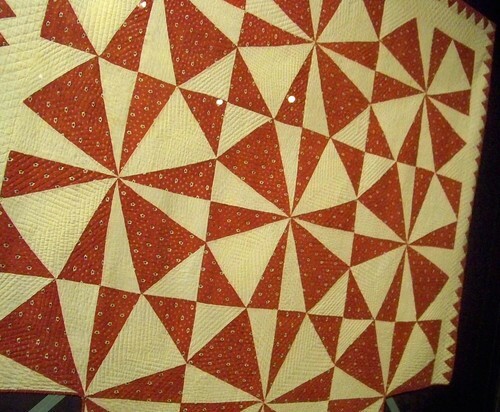 A simple block, in two colors (and a classic turkey-red and white combination at that) but you get such interesting patterns and secondary patterns. 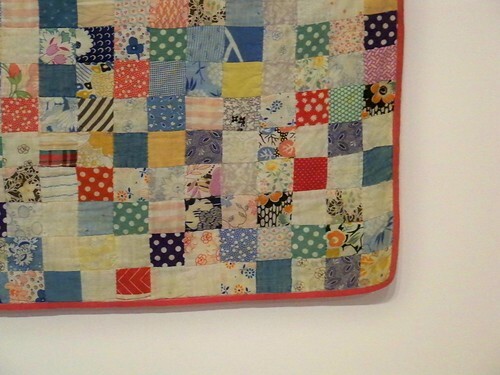 This was a trend at somepoint, competing to get as many tiny tiny patchwork squares into a quilt as you can. 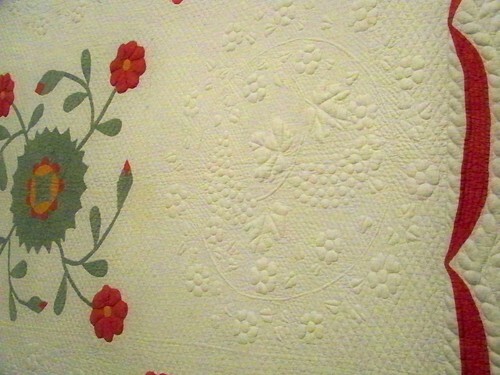 The one next to this had 23,ooo pieces (1/2 inch by 1/2 inch), this one was prettier though with those 1930’s fabrics. 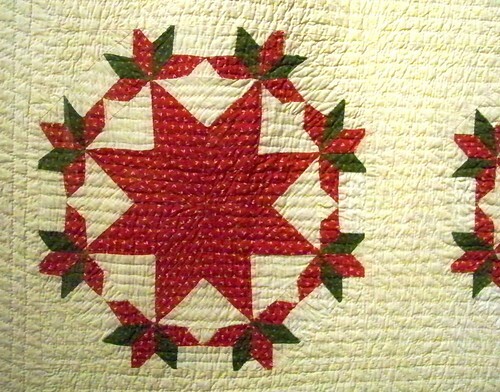 My fingers hurt just imagining making one of these quilts – especially before rotary cutters and strip piecing. 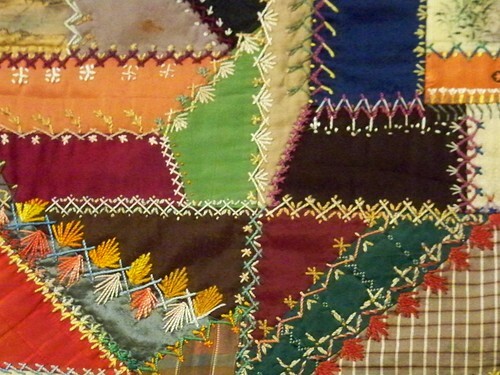 And if meticulous piecing isn’t enough… elaborately embellished crazy quilts. 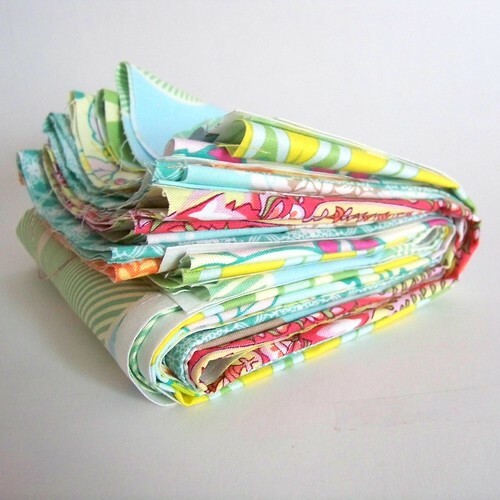 …despite it’s many cut off points. 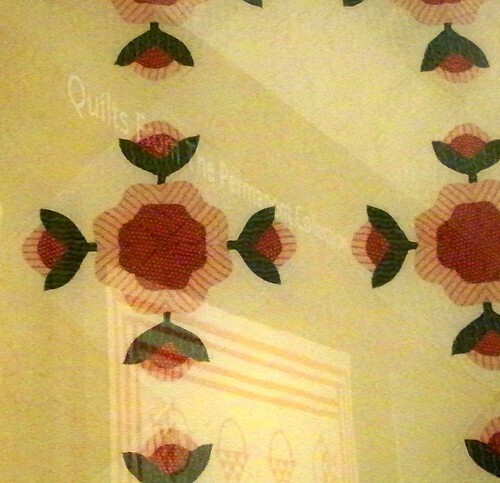 Shelburne Museum aka more quilts! 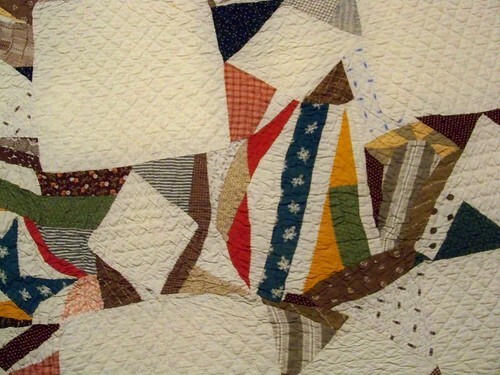 It was a quilt-filled weekend in Vermont. 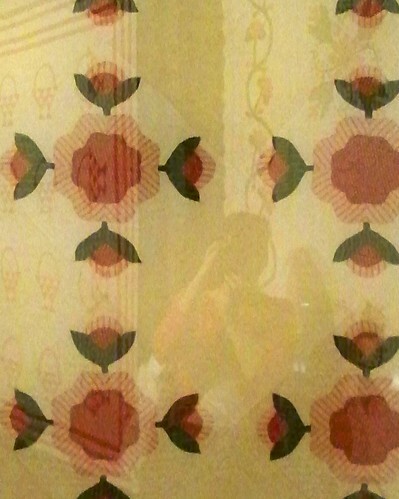 I (and apparently alot of other, tote-bag carrying, fabric-buying, quilt-ooo!-ing women) headed to the Shelburne Museum after the quilt festival. 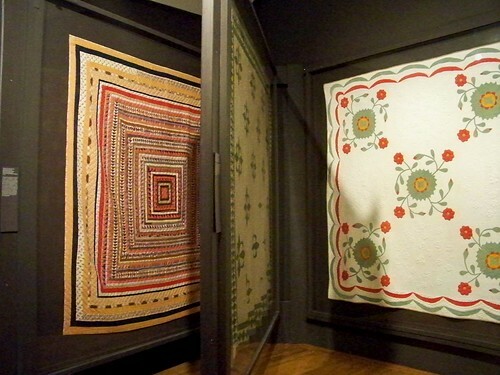 "Quilts from the permanent collection"
And the other end of the quilting spectrum, look at that hand quilting. 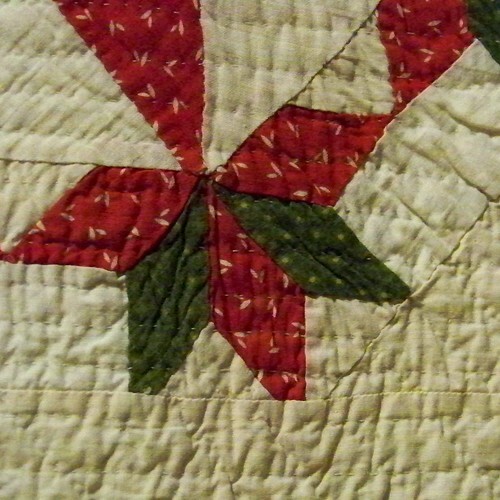 The whole quilt has the cross hatching, plus (I think) 4 of those wreaths and a feather border.